Burns Collision Center was established nearly 50 years ago as part of Burns Pontiac in Oaklyn, NJ. In 1973, a Honda franchise was secured, and the Pontiac and Body Shop businesses moved to our current Route 70, Marlton location. In 1983, a new stand-alone facility for Burns Honda opened in June of that year, and the GMC truck franchise was added. In 1999, we were awarded Hyundai (the former Holman Hyundai franchise) and in 2003, Hyundai moved into the former Burns Honda building on Rt. 70. The Eckenhoff Buick franchise was acquired in 2006, and we launched our Genesis business in late 2016. Due to the rapid growth of our Body Shop business, in 2017 we acquired the former Lenihan Jeep facility on Rt. 73 and a major Body Shop annex was opened at that location. 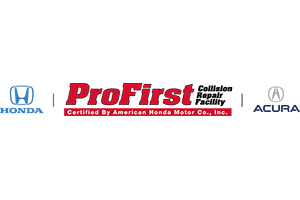 We are Honda ProFirst certified and have achieved the coveted “I-CAR Gold” certification. We are also accredited by the Better Business Bureau with an A+ rating. We serve customers from but not limited to: Marlton, Cherry Hill, Turnersville, Voorhees, Mt. Laurel, Moorestown, Medford, Deptford, Pennsauken, Willingboro, Maple Shade, Haddonfield and Philadelphia.